Analytics – predict the impact of weather to prepare for impending disaster. Alerting technologies – for stocks of antibiotics, insulin, bottled water, and vaccines based on predicted weather-related disruptions. Visual recognition – assess the impact of a seismic event. Blockchain technology – improving the efficiency, accountability, and resiliency of supply chains. Mixed technologies – Identifying, aiding humans with restricted mobility who require special assistance. May 24, 2018 to June 18 : You must register before it. There are more details on details on official site. What Can Be Coded For Disaster? Initiation of normal storm usually enough to cut off mobile tower’s internet connect. In April 2018, we fallen in an extreme storm on National Express Highway 12 (previously NH 34) at an evening. It was dangerous. Car and mobile’s internet connection went away. There were lot of trees, which were snatched and torn apart by strom. In this occasion, one live high tension overhead cable fallen on street. We needed a separate route which actually needed both GPS and 4G connection. After storm became somewhat lesser, we could find an easy serpentine way (it is difficult straightforward way to make car jumping to cross live wire of few thousand volts) to bypass that live wire. I can find few practical way of applications like seismic event prevention/prediction. That segment great for IoT application development. Cars, commercial vehicles, private islands are quite isolated from the earth just before natural calamity. That event itself talks about many possibilities to avoid risks. Disaster prevention essentially demand not facing it. IBM’s initiate is appreciable. IBM has no drawback for this program. IBM correctly identified a segment with lesser coding. Without such initiative, the specific F/OSS projects would not get help. All should think and code in their way. We should remember to notify the already existing F/OSS projects of that niche. Drawback is of variation in human nature. It is matter of like and dislike. Naturally, charitable organizations target mass or niche for disaster while most companies, Libre software and hardware developers address issues in a different manner with step-wise adaption. It is a gap because of mental make-up. That is difficult to address. Thomas Edison at old age got astonished after noticing that his own village not adapted electric bulb. Prize money is of appropriate sum. It is huge work. Very less humans actually can feel the call to jump and evacuate and simultaneously good at coding, circuit design. One of such exception niche are astronauts. Another matter is that, for mass notification, today we have diverse technologies unlike the radio, television days. Many avoid carrying smartphones to avoid disturbance. We lack any unified way of communication. Officially yes. But we have Arduino’s AUG program too. We lack manpower to realize bigger projects within few weeks. I will tend to suggest individual developers towards easy, basic projects which may alert a human based of data, IoT. Our projects likely to have converging approach of Arduino, Pi, IoT and IBM Watson. You can expect something which can be easily build as DIY project. This Article Has Been Shared 4665 Times! Amazon Web Services Directly Can Be Used From OpenShift Console. Red Hat Thus Creating A Hybrid Hybrid Cloud Platform For The Customers. 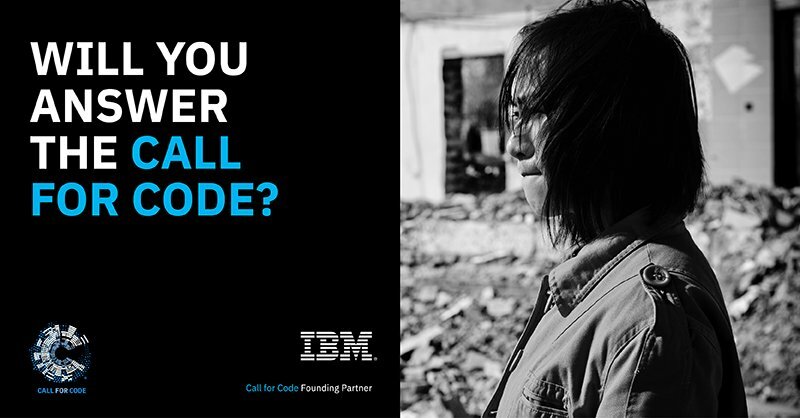 Cite this article as: Abhishek Ghosh, "Developer’s Guide : IBM Cloud’s Call for Code for Natural Disaster (Last Date : June 18, 2018)," in The Customize Windows, June 6, 2018, April 21, 2019, https://thecustomizewindows.com/2018/06/ibm-clouds-call-for-code-natural-disaster-last-date-june-18-2018/.